My friend Maureen helps me often in my little business, Edgehill Herb Farm. She’s a true friend and gives me freely of her time, of which she has very little, and of her talents, of which she has many – gratis. We joke that although she doesn’t get a salary working for me it is o.k. because instead I give her a “celery” (stalk, sometimes two!) and she’s never gotten a raise from me but I do give her a “raisin” (cookie) periodically… She’s content with this silliness as compensation, isn’t that great? 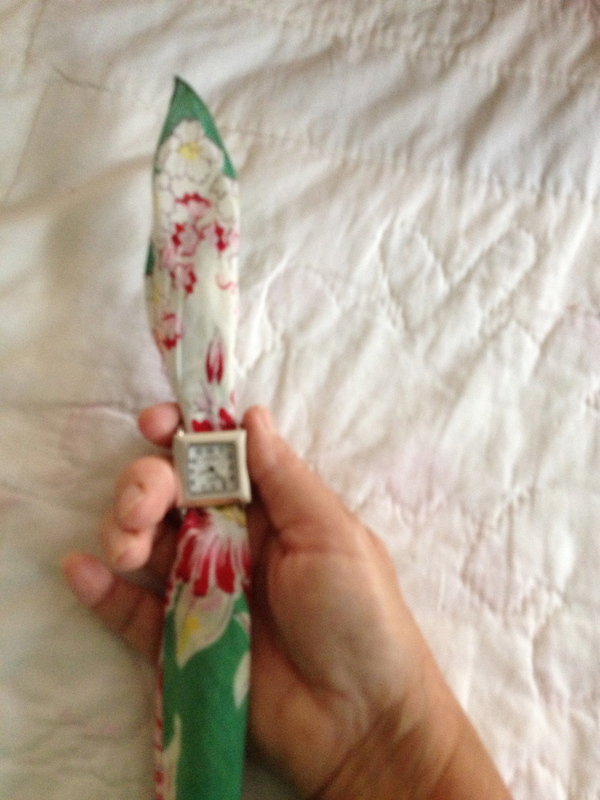 Well, anyway, one day a long time ago, she was hard at work for me brainstorming about things that I could make to add to my small cadre of homemade products and she told me about making a hankie watch. She is a hankie connoisseur and under her tutelage I had already invested in a few vintage hankies to use to make and sell herbal hankie sachets and this was another way to use the hankies I already had. Well, needless to say I thought it was a brilliant suggestion so, of course, we made some! 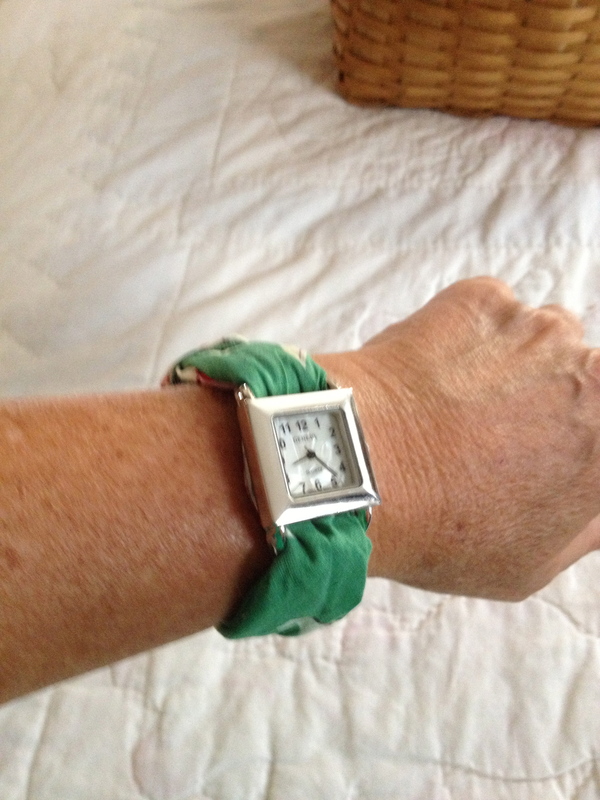 When I was getting ready to put on my very first hankie watch I could smell the lavender that I had stored with the hankie that I was using (it was going to be made into a lavender sachet initially…) and, then, I got a brain wave! 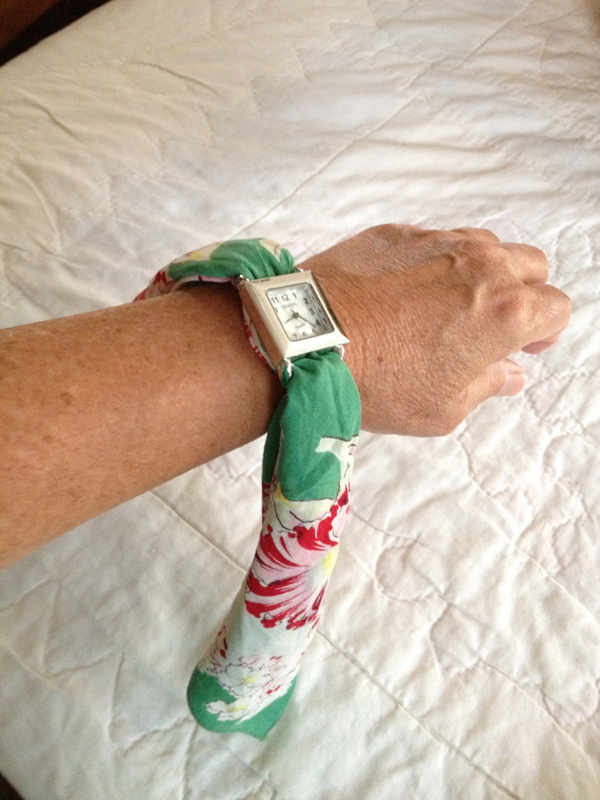 Wouldn’t it be great if I could make a hankie sachet watch? 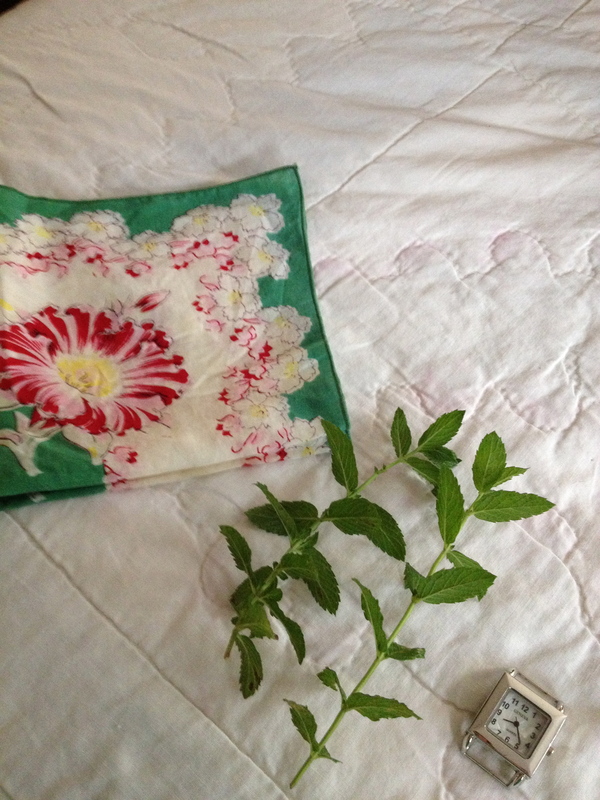 So, I ran outside to the garden with my clippers and cut some ‘Kentucky Colonel Mint’ and I put fresh herbs inside the hankie before putting the hankie sachet watch together and onto my wrist! Voila’~ the “Swankie” was born! However, we spent the next several days trying to name our latest product before finally deciding on “Swankie”. This was after several of our other name ideas turned out to be words with off-colored meanings in the U.K.
“Swankie” loosely stands for ‘Sweet Watch Hankie’ or, if you use the herbs inside the hankie as I do, then it stands for ‘Sachet Watch Hankie’. “Edgehill Herb Farm – home of the Swankie! 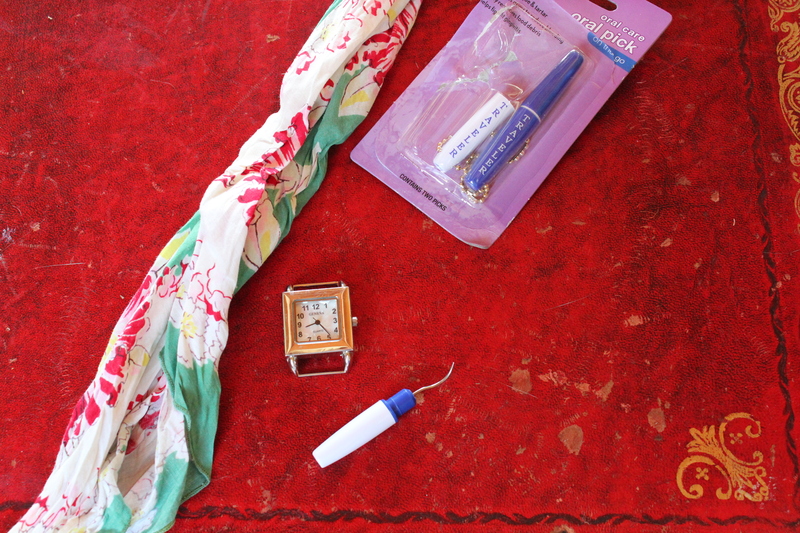 Why just tell time when you can smell time with our Sachet Watch Hankie!” became our new motto. Not long after the Swankie was born I read MaryJane Butter’s 2007 book, MaryJane’s Stitching Room, published by Clarkson Potter (A book I highly recommend, by the way. 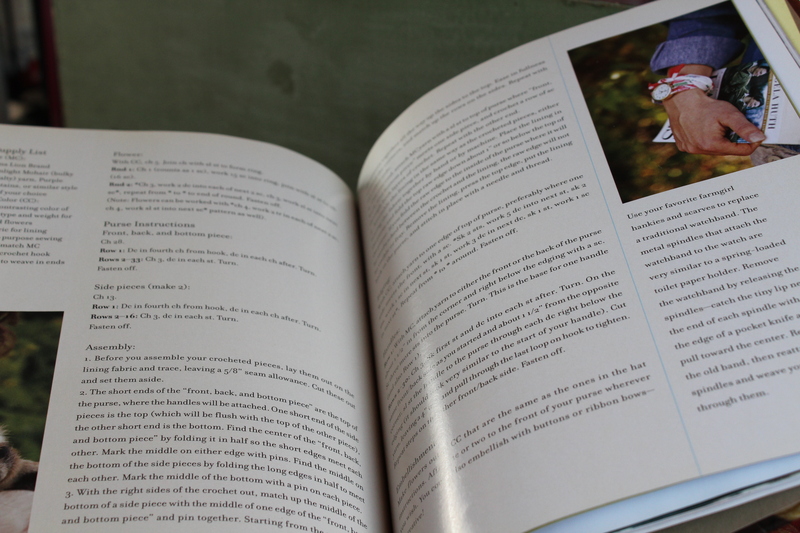 It is still available and if you buy it from MaryJane’s wonderful website www.maryjanesfarm.com she will even autograph it for you!) where she explains how to take an old watch that still works and swap a vintage hankie for the old watch band to give the watch a new life. Talk about great minds! 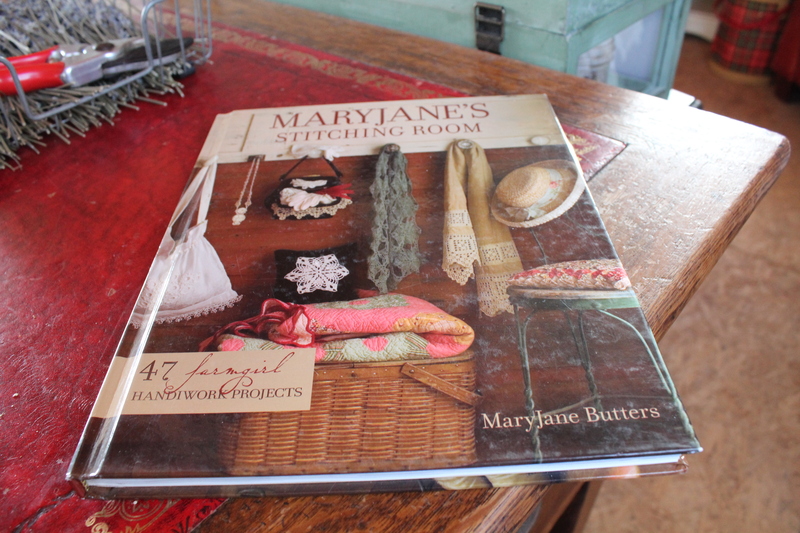 It’s not called a Swankie but there it is in MaryJane Butter’s Stitching Room Book. 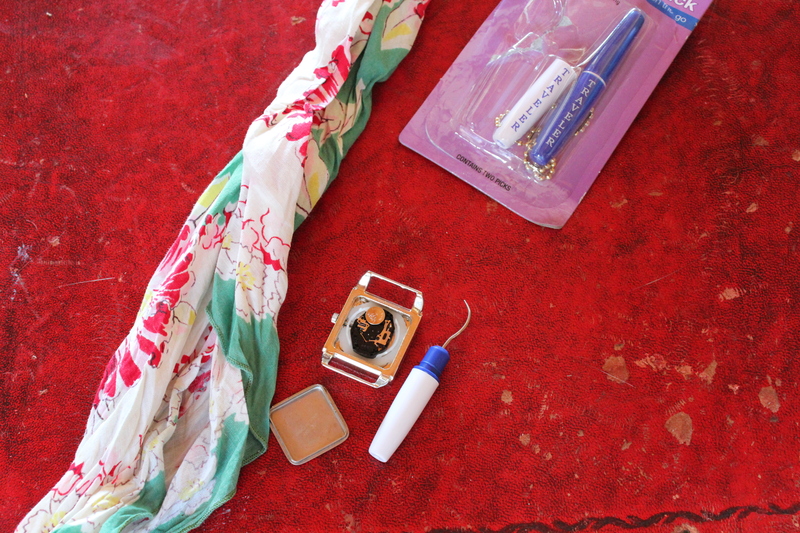 She tells how to remove an old watchband from a working watch and replace it with a hankie. A recycling two-fer! I am selling “Swankies” on Etsy these days and here is the link so you can see them. Even though they are fairly easy for people to make themselves, our Swankies are, to this day, a consistently bestselling Edgehill Herb Farm item and they make excellent gifts! Because of the high volume of Swankies the we sell, I thought a photo tutorial on how to “tie one on” might be in order. 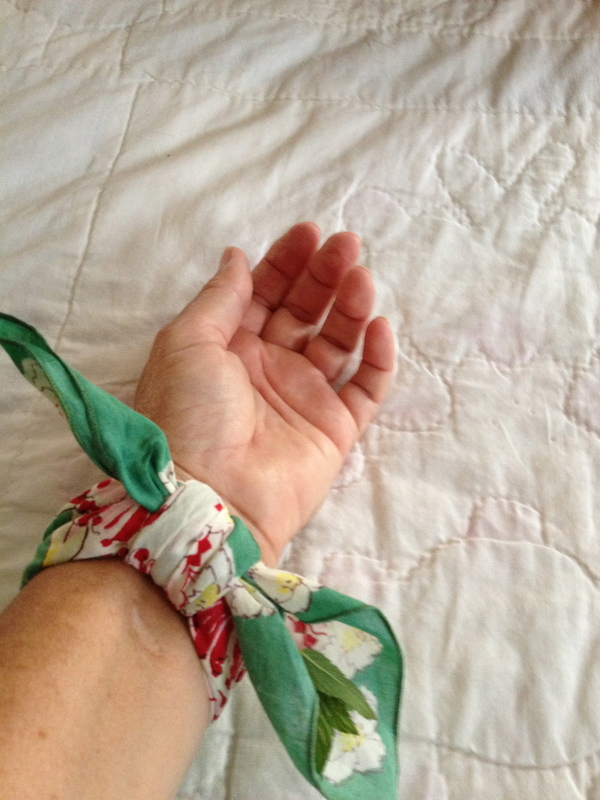 “Swankie 101.1 ~ How to tie a Swankie on your own arm” is below. But wait! There’s more… then I heard from a Swankie fan that she needed to know how to change the battery in her watch and she asked me how to do it. So, “Swankie 101.2 ~ How to change the battery” was added as well. 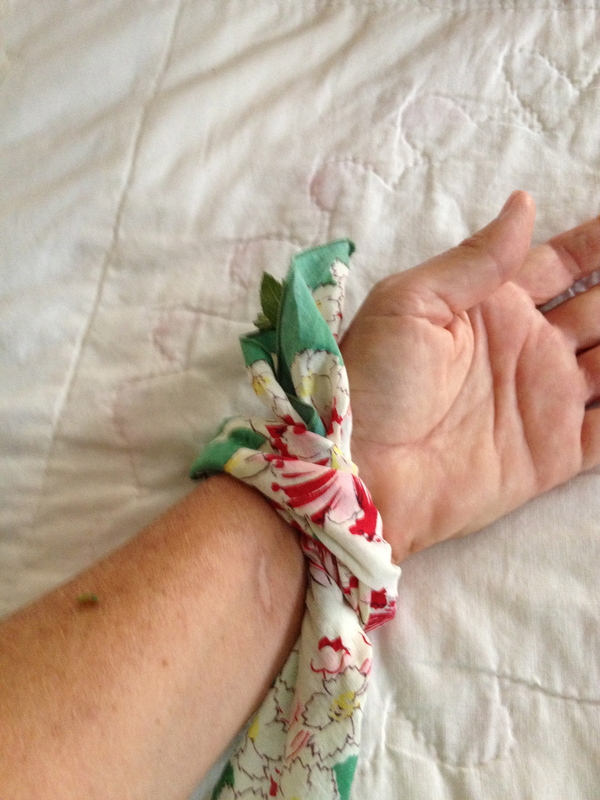 Step 1- How to tie a Swankie on your own wrist: You need a clean hankie (no need to iron unless it is really wrinkled because you are just going to wrinkle it), fresh pliable herbs such as mint, and a working watch face with solid bars for attaching the band (sometimes called Ribbon Watch Faces). 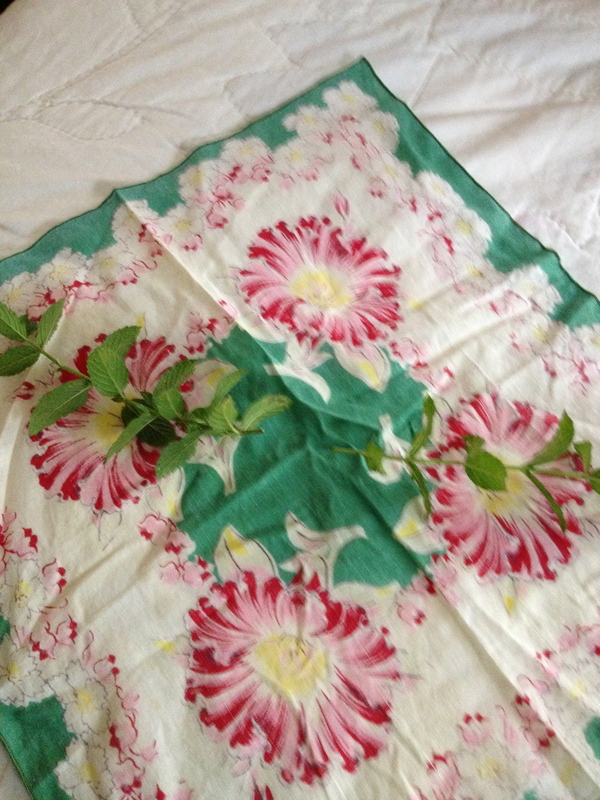 Step 2 – Lay the hankie out flat, right side down, and put the herbs in the center of the hankie as shown. 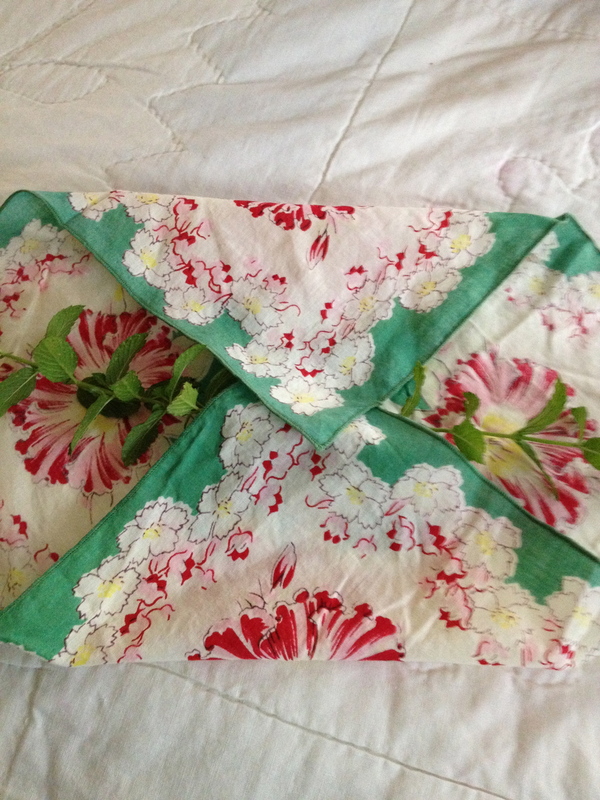 Step 3 – Fold two opposing corners into the middle. 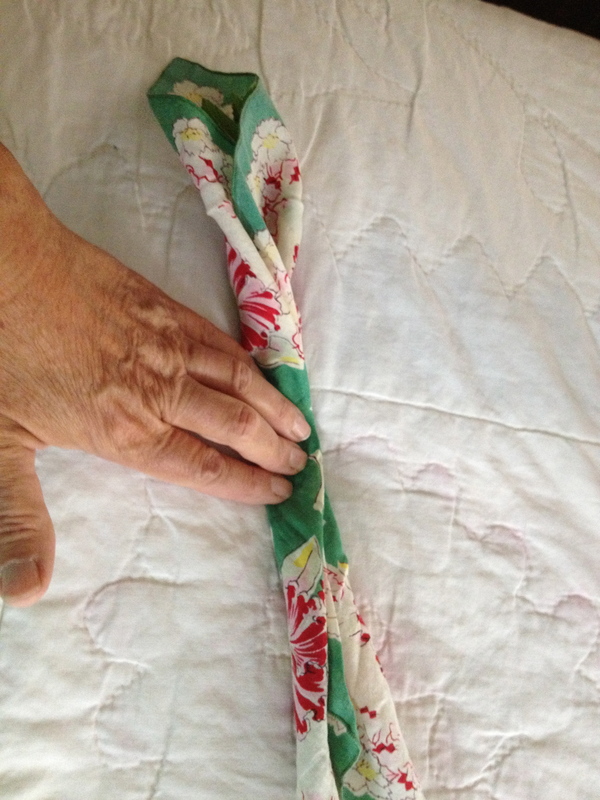 Step 4 – now fold the opposing sides again, capturing the herbs in the center. 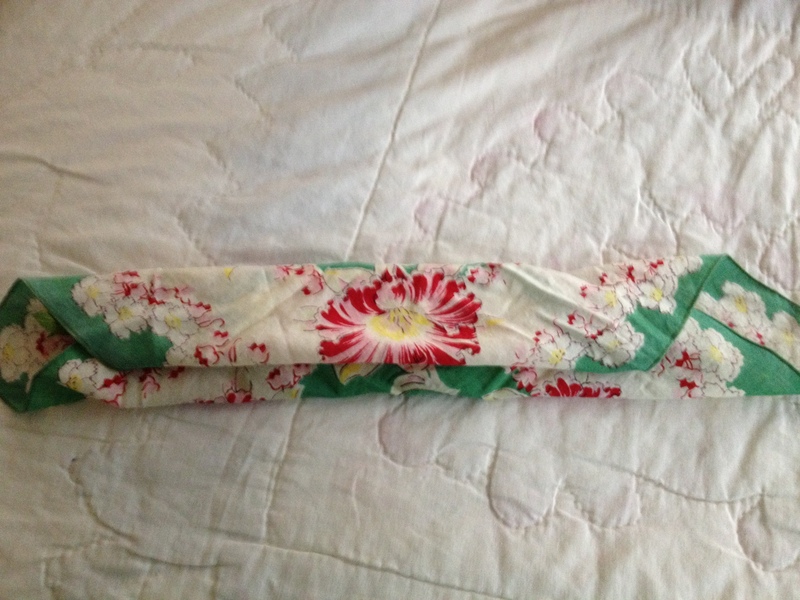 Step 5 – Fold it again in order to get it all to be watch band width. 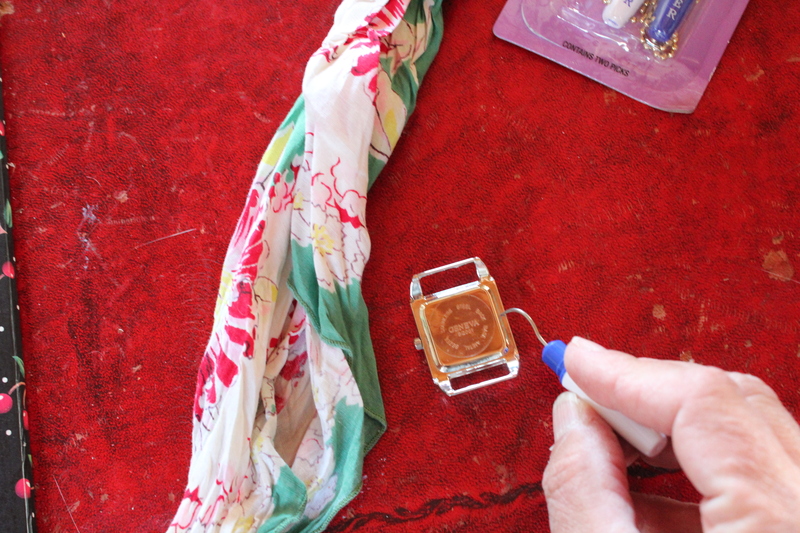 Step 6 – Turn the folded side of the hankie down and thread the hankie through the back of the watch face. Step 7- work the watch face to the center of the folded herb filled hankie. Step 11 – Hey! Look, it’s time to go…. I use a dental tool that I buy at the drug store called an “Oral Pick” to get the back off a watch to change the battery but if you don’t have this item, then a large safety-pin will work just as well. The battery in this watch is size #377 used for watches and calculators. 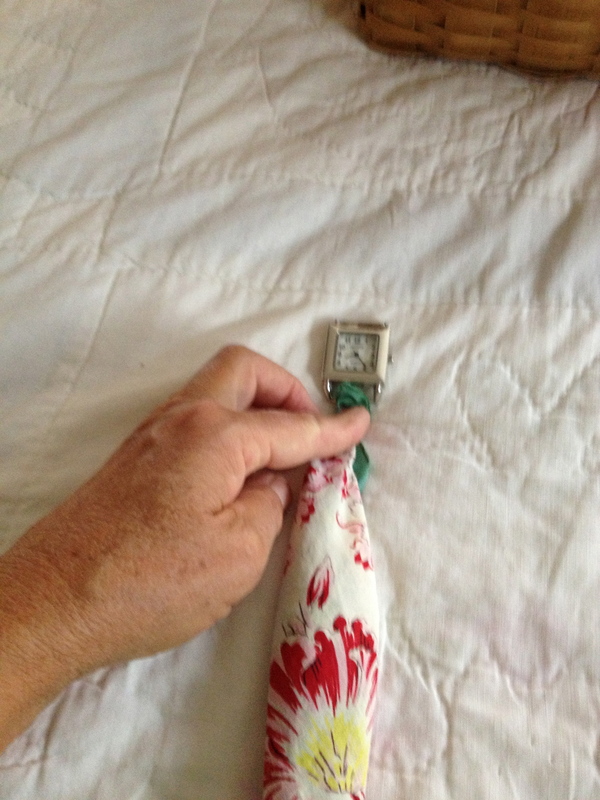 Once you have changed the battery then pop the back securely into place and re-thread the watch onto the hankie and tie onto your wrist and off you go..
Posted in Edgehill Herb Farm Products. 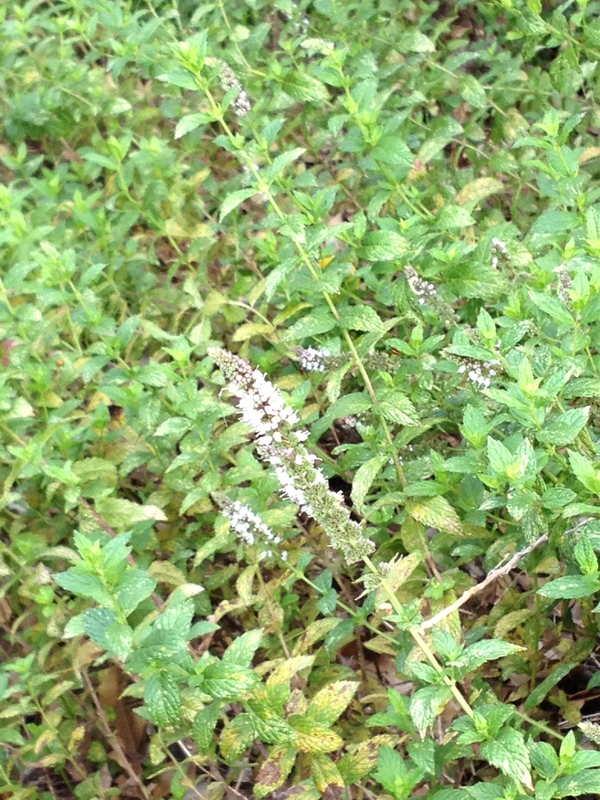 Tagged Edgehill Herb Farm, Etsy, hankie, herbs, MaryJane Butters, maryjanesfarm, mint, Swankie, vintage, watch.